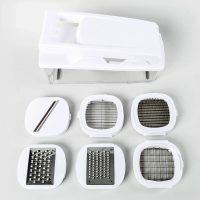 – Turn burn grillers to low and preheat to between 350-400F degrees, or start charcoal grill to preheat. – Cut pears in half removing any visible seeds, leaving stems. – Put pecan halves in griller basket on grill and gently heat, turning and stirring for 1-2 minutes to warm and crisp the pecans and to activate the and enhance their flavor. Remove from grill and set aside to cool. 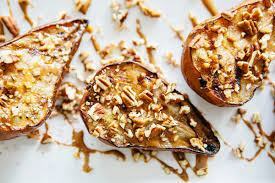 – Brush pears with refined coconut oil, sprinkle with sea salt and place on grill at an angle cut, side down. – Cook pears on covered grill for approximately 15 minutes. Make sure the pears have softened and that they have a solid grill mark. If they do not, continue to cook, covered and check every 5 minutes. Cook time will vary slightly based on both grills and pears. – Coarsely chop the warm pecans and set aside. 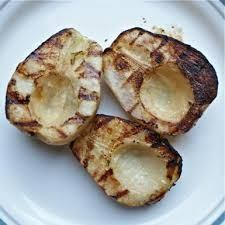 – Use tongs to turn pears on an angle to create another grill mark (for criss cross pattern) and cook covered for an additional 10-15 minutes. – In a small bowl combine 2 tablespoons honey, 1 tablespoon cinnamon and mix well. drizzle cinnamon honey. Sprinkle with course-chopped pecans. Mix the water and yeast together in the bowl of a stand mixer or a large mixing bowl. Let stand for a few minutes until the yeast is dissolved. Stir the oil into the yeast mixture, then add the flour and salt. Mix with a spatula until a crumbly, floury dough is formed. Knead the dough on low speed with a dough hook for 5 to 7 minutes, or knead by hand on the counter for 6 to 8 minutes. When kneaded, the dough should feel smooth, form a nice ball and spring slowly back when poked. Cut the dough into 8 smaller balls – even in size. Grease a baking pan lightly with olive oil or baking spray. Place the dough lumps in the pan and turn them over so they are coated with oil. Cover the pan with plastic wrap or a damp kitchen towel. Let the dough rise at room temperature for 1 1/2 hours, or until it has doubled in size. The dough can then be used immediately, or can refrigerated (up 2 3 days) or frozen for later use. If dough has been refrigerated, remove and let it sit at room temperature for at least 1 hour. Preheat your gas grill with all the burners on high for 10 to 15 minutes, or start a charcoal grill. 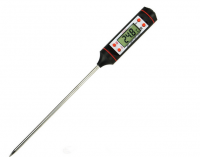 Once heated, turn off or lower half the burners, creating an area of direct heat and an area of indirect heat. In charcoal grill, bank the coals to create areas of direct and indirect heat. Set up a workspace near the grill with toppings handy and space for shaping your pizzas. Working with one piece at a time, pull and stretch a dough ball in your hands into a round. Once it becomes large, drape it over your fists to continue stretching it into a large, thin round. It’s easiest to do this on a greased work surface but can be done on/in hands. Drop the shaped pizza onto the grill over direct heat. Close the grill. Let the pizza grill until the bottom is just barely cooked and shows char marks, 1 to 3 minutes. Cook time will vary based on grill, so stay close and be flexible. Use tongs to flip the pizza over and move it to the indirect heat. Quickly spread it with sauce and spread a thin layer of toppings over top. Don’t add too many toppings as this will slow the cooking and make the pizza soggy. Close the grill and cook until the toppings are warmed through and the cheese is melted, another 2 to 4 minutes. Cook time will vary due to grill and toppings. Beware distractions now. Stay close and trust your senses! 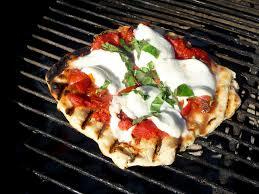 If the pizza smells like it’s scorching, open the grill and rotate the pizza to a cooler spot. Use tongs or a large spatula to slide the finished pizza onto a cutting board. Let rest for a minute and then cut the pizza into slices and serve. Repeat with the remaining pieces of dough, and as you go, you can start a second pizza over direct heat while the first pizza is finishing over indirect heat. Ultimate Grilled Pizza is topped with grilled toppings! 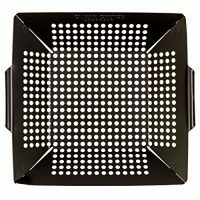 Use a grill basket to grill your bite-sized veggies, chicken strips, meatballs, etc without losing them through the rack/grate. The possibilities are endless! Top with exotic cheeses that resonate and match your grilled veggies. Try dessert pizzas with fresh or grilled fruits and sweet, buttery or delicate cheeses! For fastest ever grilled pizza with no “dough drama”, use prepared crusts. We recommend Boboli thin crusts (either regular or 100% whole wheat). Cook times are pretty much the same. Just watch closely and they may heat and ready just slightly quicker. Get creative and share your feedback and ideas!